In Ayurveda, herbs are referred as healers! This statement is augmented by a superior and multifunctional, multi-remedial herb! According to the Ayurvedic principles, Punarnava is one of the two superior herbs. Literally, it means healing the body for renewal and rejuvenation. The entire system of the body is completely rejuvenated and revived. The herb carries lushy, fleshy, green and round shaped leaves with tiny hair like growths. It grows up to 3 feet long. The pink and white flowers of the Punarnava herb look amazingly beautiful and it bears more flowers during the rainy season. When it comes to flavor, it carries a combination of three flavors, sweet, astringent and pungent. Even though it carries a sweet flavor, it is a hot and rough herb. The surprising part of the Punarnava is, all parts of the herb are used as healers. Stem, root, leaves, seeds and flowers are used in different forms to cure different ailments. 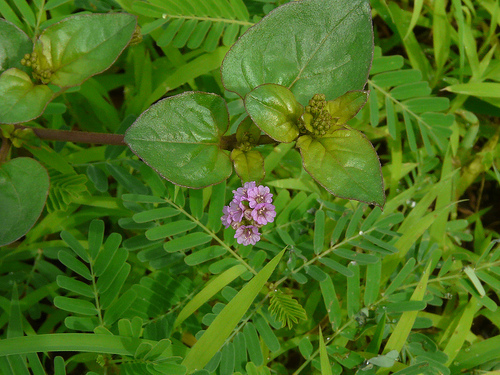 Punarnava is regarded as one of the most powerful herbs in the Ayurvedic medication. It aids in promoting overall health and wellness. Punarnava is generally recommended by Ayurvedic practitioners to reduce the elevated levels of the body humors i.e doshas, called the Vatta, Pitta and Kapha. The flavor decreases the enhanced fire element, hot nature decreases the other two elements. The herb has great significance in the Ayurvedic medicine and is used to treat several several health maladies. Let us have a look at the five health benefits of Punarnava. Liver is greatly benefitted with Punarnava. Like a skin toner, the herb is a liver toner. Liver, being a vital organ is over stressed for various reasons, which impact the whole body. For instance, loss of digestive power, lethargy, fatigue, etc. Some of the liver disorders like jaundice, anorexia, sluggish liver, hepatitis, anemia, etc can be effectively cured with Punarnava. Punarnava tones the liver; help the liver regain the health, strength, stamina, functionality and vitality. Punarnava generally forms part of alcohol de-addiction therapy, which aids in improving the functions of the liver damaged due to alcohol abuse. Similarly, it is the best herb of all and even the best of all modern medicines to recover from liver cirrhosis. The juice of Punarnava naturally purifies the blood and improves the health. In addition, it also aids in removing the toxins and chemicals from the gastric juices. Next to liver, poor functions of kidney is improved by punarnava, as it is a diuretic herb. It heals the inflammation of the body and eases the swollen parts. The herb naturally improves and treats the kidney stone, urinary tract infection, etc. Automatically, kidney functions are improved. Almost all herbs prescribed and recommended by Ayurveda are rich in anti-oxidants. It helps in fighting against free radicals, combat the degeneration of cells and delays aging. Here comes the indirect association of Ayurveda and anti-aging properties. Following Ayurveda helps you live younger life without aging signs. Punarnava contains anti-toxic properties and flushes out chemicals, waste substances and toxins from the body. The herb is also used to cure the bites of poisonous snakes and other insects. Recommended dosage of Punarnava is a maximum of 10 ml of juice extracted from fresh herb. When it comes to powdered seeds, recommended dosage is 1 to 3 grams. However, the amount of Punarnava generally varies based on the underlying condition to be addressed. An Ayurvedic practitioner is the best person to recommend appropriate dosage. How to do Fasting diet?